our daily interactions with others and uses it to influence the desired conscience or sub-conscience outcome. We all have an influence on others. In fact, many of us don’t even realize the influence we have. I am reminded of a recent note I received from a young man who was a part of our Wednesday Night, “Kids Club” at our church. He was in the 1st grade when I first met him, and we stayed in contact until after high school. A while back I received a note thanking me for steering him into the fire service. As a safety professional and former volunteer firefighter, I would always talk to kids about my profession and the passion I had for helping others. Throughout the years, we had many informal conversations. However, I never really expected or thought he was seriously paying attention. I definitely didn’t think I was influencing him. I just thought it was cool that he was interested. Today, that 1st grader is Deputy Chief with a Fire Service in Northern Arizona. You’ve heard the term, “Transformational Leadership.” This is a process of leading by example. Transformational leaders tend to use rapport, inspiration, or empathy to engage followers. They are known to possess courage, confidence, and the willingness to make sacrifices for the greater good. The term “Transformational Influence” takes the leadership style of Transformation Leadership to a deeper level. A person who has transformational influence, not only builds rapport but through their desire to influence, they utilize their relationship to influence a person in conversation and direction. Everything we do, say and how we interact with people has the potential to influence. Transformational Influence is based on your relationship through conversation with those you desire to influence. The relationship we have determines the trust they have in us. 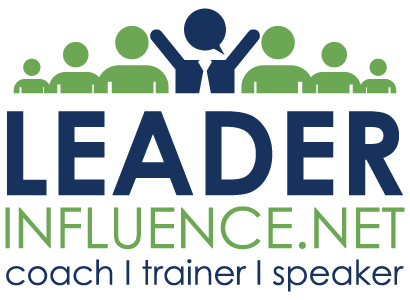 Realizing the impact of this will dramatically affect your leadership effectiveness. Never more than today has success depended so much on the willing collaboration of others, and your ability to influence them beyond the existing results, conditions, and circumstances of their lives. All of that brings us to the inevitable conclusion that many people completely miss. The most important skill to master in leadership is the art and skill of influence. Think about it for a moment. The ability to influence others isn’t a “nice to have” in life today – it’s absolutely essential. If you have a healthy relationship with a person, you have an opening within their mind and heart that will allow them to listen and consider your influence. Be genuine in your relationship – Focus on the individual’s needs and or desires. You can only do that by being sincerely involved and curious. Be truthful – Don’t “beat around the bush.” If you have something to say, say it! However, consider when, where and how you say it. And always be encouraging. But rather be open and honest with encouraging advice or direction. Be intentional – Go out of your way to get to know a person’s likes and dislikes. Understand what motivates them and cater your conversations to encourage and guide. Be a servant – Serve them with your whole heart. Make it a priority to help them succeed. Be humble – Realize that you will give bad advice. You will lead in the wrong way. However it can be a temporary setback, but be open and honest about your failures. Be significant in your impact – Go out to make a difference, share your experience and how you were influenced by others. You have influence. Think about it. When you direct and instruct your kids, the conversations you have with your significant other and those at work or church. You never know who you’re influencing, so make sure you don’t waste the opportunity. Follow the 6 B’s to Transformational Influence and watch people be transformed.